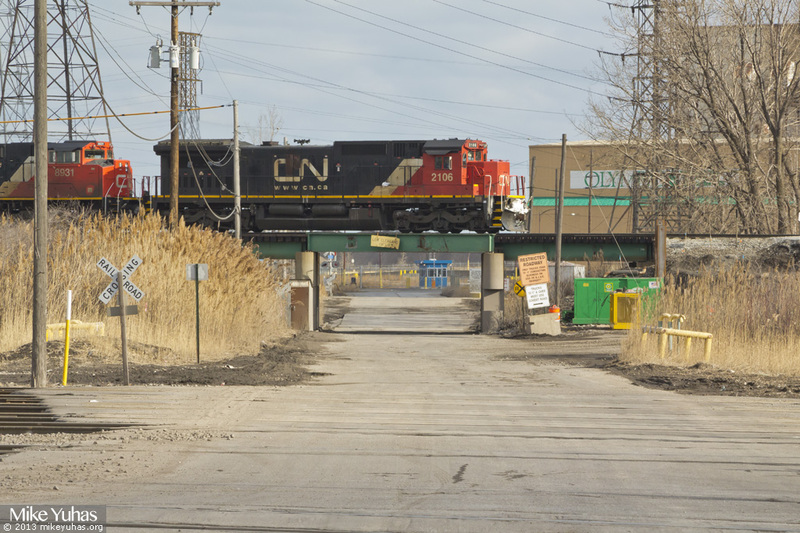 A former UP C40-8 leads a Canadian National train into Kirk Yard on former EJ&E trackage. This locomotive was built as C&NW 8559 in August 1991, and eventually renumbered and painted as UP 9071 after the Union Pacific/CNW merger. UP sold the unit to CN in 2010.